Contrary to popular belief, subtitles aren’t merely an irritating setting on your television designed to stand between you and your entertainment. Far from it, in fact. They’re what allow millions of media consumers worldwide to watch their favourite shows and films. But not only are subtitles essential for the estimated 5% of the world’s population who identify as deaf or hard of hearing, they’re also considered to be beneficial in the education of young children and the improvement of child literacy. Research has shown that reading and listening simultaneously helps younger learners to decode words and to read better. Child literacy experts have found that when words appear repeatedly in subtitle form during a show, it cements that particular word into their vocabulary. American educator, Jim Trelease, once suggested children over the age of eight should watch TV with the sound switched off. In silence, he believes they’d only be able to understand their favourite programmes by reading the on-screen subtitles. 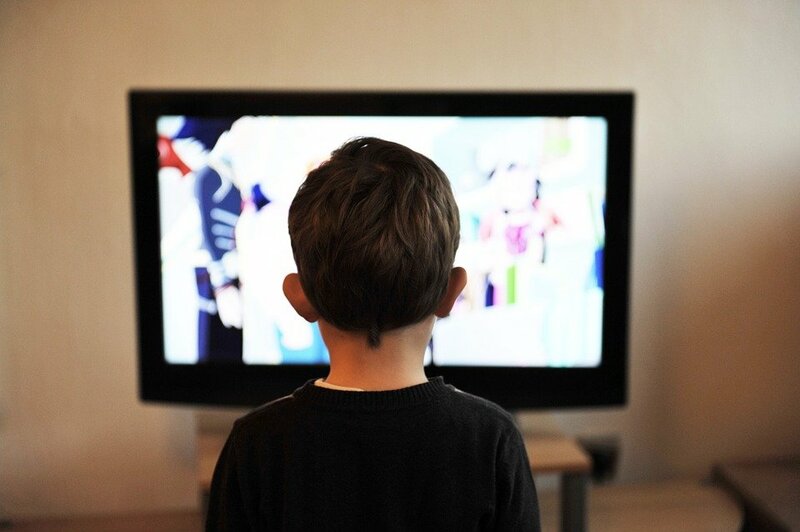 Trelease, author of an 80s bestseller which outlined the rewards and importance of reading aloud to children, believes that subtitled television could also be the solution to a common problem facing families with small children. “It is all about word recognition,” he claims. To the parents of small children who at around the age of three could not read, Trelease would ask whether or not the child could read the oh-so-recognisable sign for McDonald’s. Dismissed with responses like, “Of course, they have seen it so many times,” Trelease would point out, “That’s my point.” But why is captioning increasingly considered an undervalued language learning strategy? Though modern day parents acknowledge that their child’s literacy skills are vital, their busy schedules often prevent or hinder their delivery of the all-important bedtime story. Among the parents of children aged between three and four, an estimated 19% say the struggle to find energy at the end of the day plays a part in their failure to read to their children. Are subtitles the answer to Britain’s child literacy crisis? Following years of front page attention, the pressure on charity leaders and high-profile politicians to tackle the UK’s child literacy crisis has undoubtedly grown. Back in 2016, an estimated 47% of all primary school pupils in England had fallen below the government’s set standards and were unable to read and write with the proficiency expected of them. Justine Greening, who was the Education Secretary at the time, recently said: “If we could just get parents having subtitles on the TV as a matter of course for a child’s early years. “If you’re not a great reader yourself, as a parent, that’s one thing you can do, to help children listen and learn words. But subtitles don’t necessarily have to be in a primary language to make a positive impact on learners. Outside of the UK, the country with the best English language skills in Europe is the Netherlands. One potential explanation for this linguistic triumph is that the Dutch immerse themselves in English language entertainment from an early age. However, unlike their Spanish, French and German counterparts, all of whom depend on dubbing to understand foreign language entertainment, the Dutch watch their favourite anglophone shows and films in their original language and simply turn on the subtitles for translation. Having been knocked off the top spot by the Netherlands as the country which can best speak English as a second language, Sweden also imports large amounts of its entertainment from the UK and America. Acknowledged by politicians and experts alike as a location with huge educational potential, a child’s home is a seedbed of literacy. By merely switching on the subtitles, parents guarantee that their children not enjoy their favourite programmes but also learn from them. This entry was posted in Subtitling and tagged Child, Education, Learning, Literacy, Subtitles.